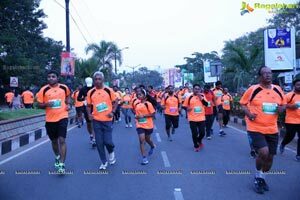 Freedom Healthy cooking oil Range Family Run has been a huge hit with over 1000 people registering. 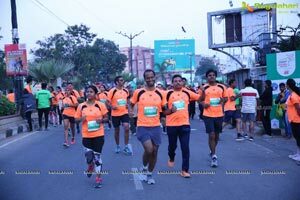 ACT Fibernet start up and corporate categories had overwhelming response. 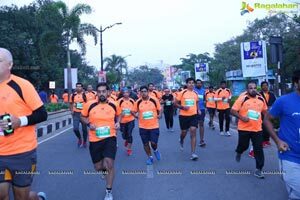 1200 Act employees also participated in the run. 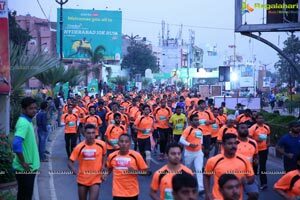 500 army men sponsored by Ctrl S, Asia’s biggest data Center. 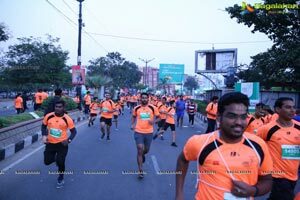 Cause Partner , Surge Impact registered 700+ Runners through 30+ NGOs who are working on various social projects. 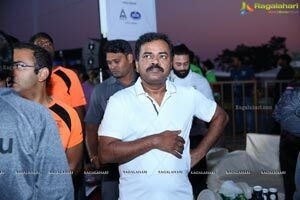 Feet fashion Partner. 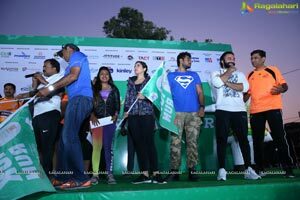 Centro has actively engaged the participants with fitness challenge. 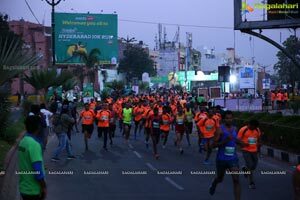 Yashoda hospitals have provided complete medical support incl 6 ambulances, doctors, nursing staff , runner route support , medical camp at the venue. 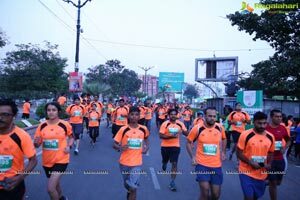 Runners across the country and international running communities participated in the run. 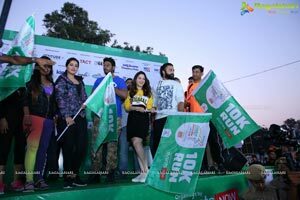 Events Now and Hyd10krun foundation had left no stone unturned in making a the event a great experienced or every participant. 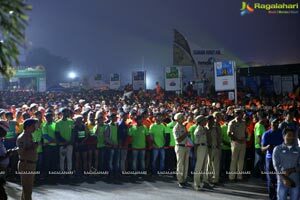 Support stations, entertainment stations across the route were carefully planned. 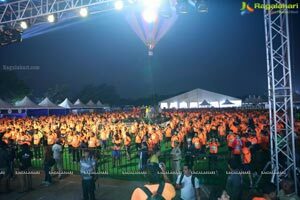 Keeping up to expectation of people, organisers brought in popular NIRAVAL band. 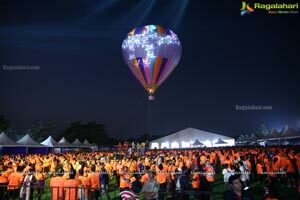 Also Hot air baloon, Para motors were the special attraction. 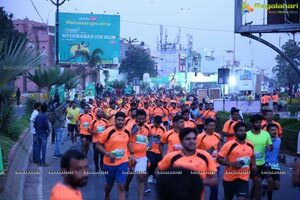 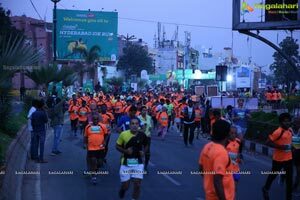 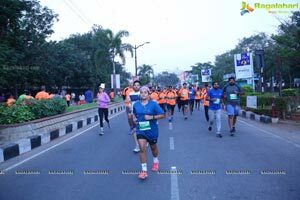 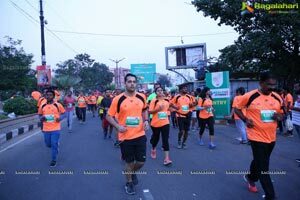 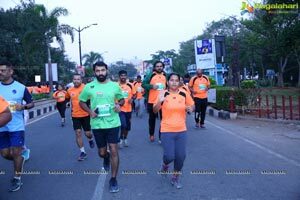 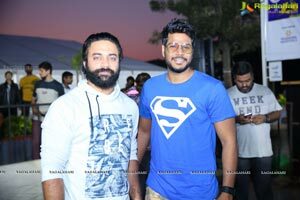 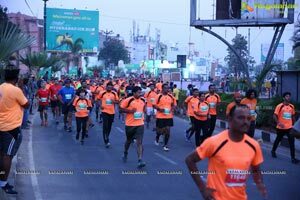 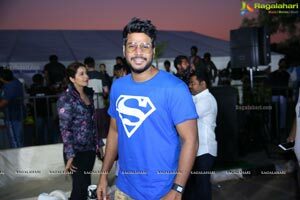 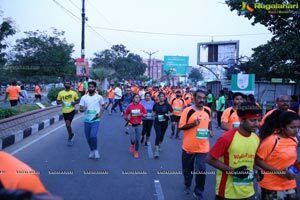 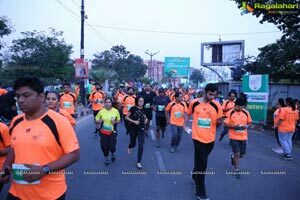 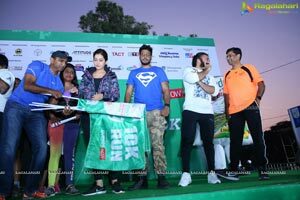 Hyderabad, November 25th, 2018: The Freedom Hyderabad 10K Run organized by the Hyderabad 10K Run Foundation and EventsNow in association with Freedom Healthy Cooking Oil Range, ACT Fibrenet and Lalithaa Jewellery was a grand success with over 15000+ runners participating and finishing the run. 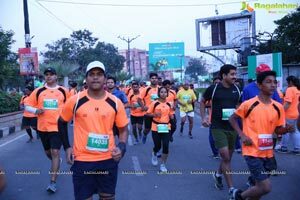 The event was conceived and delivered to promote running as the primary form of fitness. 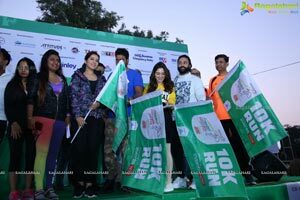 The event was flagged off by Mr. Jayesh Ranjan, IT Secretary, Mr. Dana Kishore, IAS, GHMC Commissioner along with Tolloywood Stars Tamanna, Rasi Khanna, Sundeep Kishan, Industrialists, Bureaucrats and Runners etc. 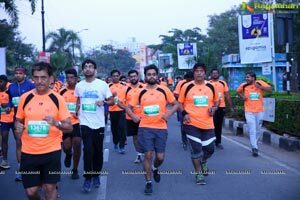 Starting with a loop around the picturesque Hussain Sagar Lake, Necklace Road in Hyderabad the run saw active participation from people from all walks of life. 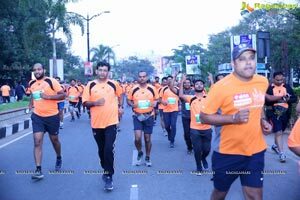 The Organizing committee members, Dr. Murali Nannapaneni- Race Director, Freedom 10K Run, Mr. Akshay Chowdhry, Group Vice President, Freedom Healthy Cooking Oil Range, Mr. P. Chandra Shekhara Reddy, Vice President Sales & Marketing, Freedom Healthy Cooking Oil Range, Mr. Partha Biswas, COO, Act Fibernet, Dr. M. Kiran Kumar, Chairman, Lalithaa Jewellery Mart Pvt Ltd, Mr. Raj Pakala, CEO, Events Now along with other dignitaries were seen mingling with the crowd and motivating the runners who came from across the Nation. 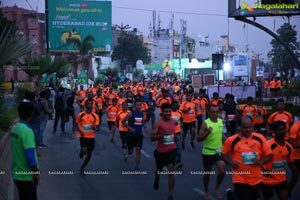 The Freedom Hyderabad 10K run witnessed overwhelming participation with more than 15,000 runners making their presence felt in the 10K race. 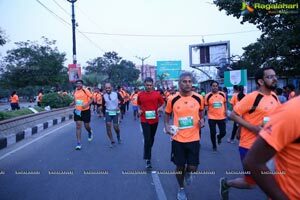 Runners were seen stretching and warming up in preparation for the flag off at the start point. 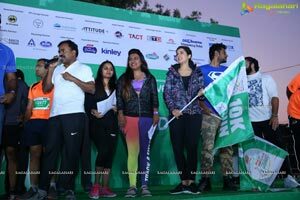 The atmosphere was excitingly charged with a sportive feel, people of all ages from the young to the old gathered at the venue with their sprightly gear all blended up for the occasion. 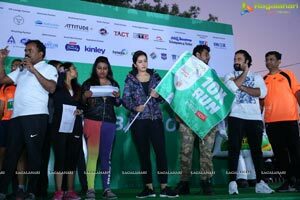 Top three finishers in different categories (men & women) were awarded cash prizes and all finishers received Finisher Medals. 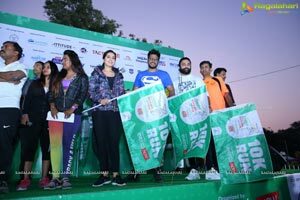 Also the leading group participants and ‘#MyCityMyRun2018’ trophies - Corporate Trophy, Start up Trophy, Community Trophy, NGO Trophy, and ACT incredibly fast runner - male & female were presented at the glittering ceremony post the event. 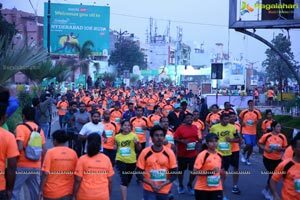 Adding to this Mr. Partha Biswas, COO, Act Fibernet said, “We are delighted to partner with the Freedom Hyderabad 10K Run for the 3rd time and humbled by the overwhelming response to the event. 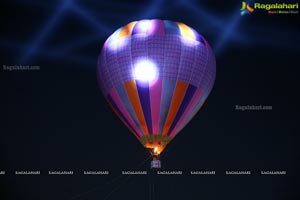 We congratulate all the winners and applaud the organizers for putting up the fantastic show. 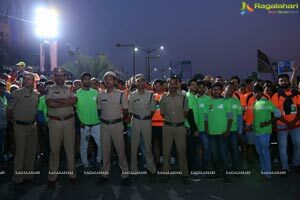 We are thankful for the fantastic response from everyone”.